For two thousand years, there has been a spaceship hidden on the dark side of the moon. Very few know of its existence, and only one has known its location. That one was High Councilwoman and Captain Estelle Morgan, Lacy’s grandmother and one of the original survivors from the planet Threa. 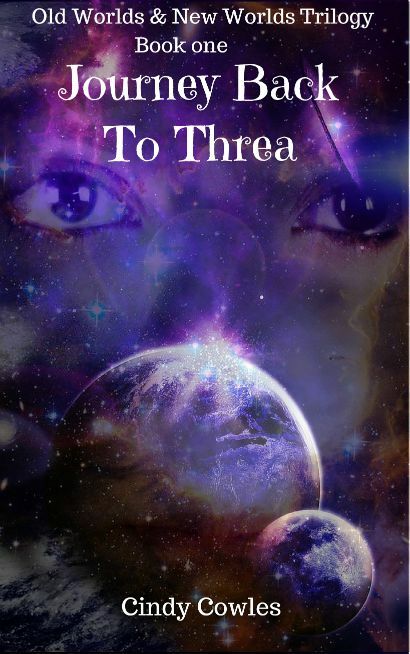 When Lacy’s grandmother chooses not to Rebirth again and passes away, Lacy inherits the house, a tantalizing letter about humanity’s true origins and...a FTL spaceship called Pegasus I. Forced to flee when her home is invaded by a group called the Chosen, and her life and the lives of her three closest friends are threatened, Lacy brings her friends aboard an atmospheric hopper - a small transport meant to shuttle explorers from Pegasus I to a planet’s surface and back - and escapes just in time. 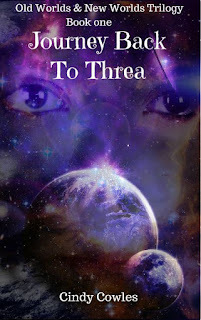 Now she’s taking them on the trip of a lifetime, going on a Journey Back To Threa. "Every speck of available light seemed to dance across its dark surface in a hypnotic show of rainbows and shadows, even though the only source of illumination was a flickering yellow safety light at each end of the room." "After two millennia of staring through the lens of a camera and speaking through speakers, I find that I long for the experiences that can only be found in a body - the taste of fresh berries in cream melting on my tongue, the feel of grass tickling underfoot, the caress of a gentle breeze blowing through my hair on a warm day..."
I am looking forward to the next two books, but I do hope there is more exposition and description to allow me to really fall into the story and visualize the universe as the author sees it.